Well well well, it’s been awhile, hasn’t it?! The bitter January cold weather brought with it some bitter January flu bugs, but I’m live, in person and back in the saddle again! This installment of The Weekly Round-Up also has a new category–Entertainment News. We’ll get into the hows and whys of that when we get there. So, with no further ado… here we go! —Dial H for Heroclix continues to pump out new episodes each week. The industry’s most consistent ‘casters just released episode 31, wherein they discussed the latest figure spoilers and the 10 Best Maps to Have in Your Competitive Clix Pack. —ClixCast was back with episode 139, wherein they discussed the Top Five Worst Heroclix of 2013, along with their thoughts on the recently spoiled Legion of Doom Fast Forces. –NEW ROC tournament announcements for Huntsville, Alabama; Sunnyvale, California; and even Edmonton, Alberta! 1st Place–Main Piece: New Mutants Team Base (200 Point Level). Best Support Piece: Brother Voodoo. Resource: 13 Point Utility Belt. 2nd Place–Main Piece: Shuma-Gorath. Best Support Piece: Mole Man. Resource: 28 Point Power Plant. 3rd Place–Main Piece: Warstar. Best Support Piece: WXM Magneto (#037a). Resource: 50 Point Booklip (Complete Book of the Skull plus Splitlip). 4th Place–Main Piece: Hellfire Club Team Base (300 Point Level). Best Support Piece: None. Resource: None. 5th Place–Main Piece: Absorbing Man LE. Best Support Piece: Enchantress. Resource: 40 Point Infinity Gauntlet. 6th Place–Main Piece: M10 Iron Man. Best Support Piece: Tanarus. Resource: 50 Point Booklip. 7th Place–Main Piece: Silver Centurion. Best Support Piece: New Mutants Team Base (95 point Level). Resource: 40 Point Infinity Gauntlet. 8th Place–Main Piece: Batman (115 Point GCSG Version). Best Support Piece: The Insider. Resource: 18 Point Power Plant. 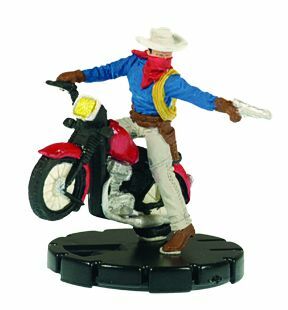 9th Place–Main Piece: Ghost Rider. Best Support Piece: 2x CW Scarlet Witch. Resource: 14 Point Utility Belt. 10 Place–Main Piece: M10 Iron Man. Best Support Piece: Cerise. Resource: 110 Point Batcave. Okay! Look at that–you had to go 10 deep in the Top 16 finishers before you saw the same Main Piece repeated. It was M10 Iron Man, who was used by both Jacob Schopf (6th Place) and Christopher Athaway (10 Place). And the builds only get more eclectic after 10th Place, with armies revolving around GG Morg and CW Sentry and Void!! Say what you want about the Watchlist (and I’ll have a column coming sometime in the near future that will discuss the impact of the Watchlist and where we’re headed), but it’s working. It–along with ROC’s specific rules–has opened up all sorts of viable builds. —Pyro from DoFP was spoiled. I like the creativity of his dial, and the Flame Construct token is really cool; I don’t like that he cost 90 Points. That seems steep for a fig with no defensive powers (yes, you can give him Toughness with a Hammer, but 17 Defense with Toughness doesn’t scream “staying power” in the current Meta). When I first saw his dial, in my head I thought he’d be somewhere between 70-75 Points. So I think he’s overcosted; time will tell, though. –SLoSH got some beef with Mr. Majestic, an uncommon beatstick. Any figure with Move and Attack (especially one that only modifies his attack by -1 instead of -2) is going to be decent; unfortunately, that’s about what you have here: a decent, 220 Main Piece. In larger games, he should be fun, but I don’t know that I’d want to build my whole team around him. A lot of TV and movie news is generated every week that has the potential to be very relevant to the Heroclix community. Remember, a good portion of the Gravity Feed sets released each year come from movies and TV shows! Also… it’s fun to write and talk about comic book movies! That said… here we go! –Marvel’s Agents of S.H.I.E.L.D. is back, and it came back with a bombshell–Mike Peterson is Deathlok! This is awesome news, and it comes just as the show is finding its voice. If you’ve already given up on this show, it may be time to give it another look. If we ever get a S.H.I.E.L.D. set, there’s a good chance Deathlok will be a big part of it. –As soon as DC pulled out of a July release date for “Batman Versus Superman,” Disney swooped in and took that date for its Paul Rudd & Michael Douglas franchise-starter “Ant-Man.” Also, Evangeline Lilly may have just scored the role of Wasp! —The Vision has been confirmed for Avengers 2, and its Paul Bettany! Does this mean that Jarvis will somehow be corrupted by Ultron, or is the Vision’s origin going to be completely separate (thus meaning that Paul Bettany is playing two distinct characters in the Marvel Universe)?! Okay, so that’s the first edition of entertainment news. I’m planning on slowly expanding the scope of what I’ll cover as we go forward, but I think that’s a nice, bite-sized chunk. 2015 is going to have some kickass Gravity Feed sets, if everything holds true to what WizKids has given us in the past. It’s good to be back with the Weekly Roundup. Stay tuned–this week we’ll have The Build results, we may take a look at AvX (Black Panther… yes, me like), and we’ll see you right back here next Sunday for another edition of the Weekly Roundup.